New Zealand Skipper McCullum will retire from International cricket in February. Brendon McCullum New Zealand skipper has said on Tuesday that he will retire from international cricket after two Test home series against Australia in February. The second test match against Australia on February 20 at Hagley Oval would be his last Test match. Under his captaincy New Zealand cricket team reached the finals of World Cup 2015 but unfortunately could not get the title. He holds the record of second highest score of 158 runs in T20 match in IPL and is also the first New Zealand batsman to score triple century in a Test match against India. “Ideally, I would have preferred to wait until after the Test in Christchurch to make this news public. However, the schedule for naming the ICC World T20 squads means I couldn’t have managed this without causing a lot of confusion and speculation, something I was keen to avoid,” said McCullum. “I’ve loved my opportunity to play for and captain the Black Caps but all good things have to come to an end, and I’m just grateful for the wonderful experience of playing for my country,” McCullum added. 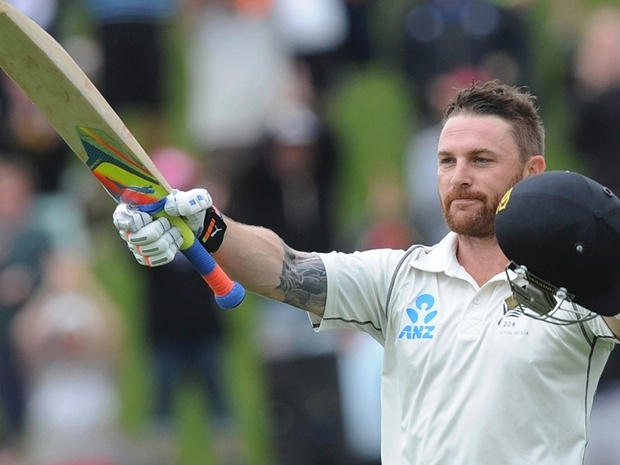 McCullum will be the only batsman for New Zealand to feature in 100 test matches in the history of New Zealand cricket. McCullum said he wanted to make the announcement later but he was compelled to share it now as New Zealand will soon name its team for the World T20. “Given the questions likely to be raised when the ICC World T20 squad is announced, it was thought better to be up front and explain the situation now,” New Zealand cricket chief David White told at the press conference on Tuesday. He made his One Day International debut against Australia in 2002 and Test debut against South Africa in 2004 and scored 6,273 runs in 99 test matches with an average of 38.48 including 11 hundreds. In One Day’s he scores 5,909 runs including 5 hundreds in 254 matches. In his absence New Zealand’s another sensational batsman Kane Williamson will take charge of the team after his retirement.